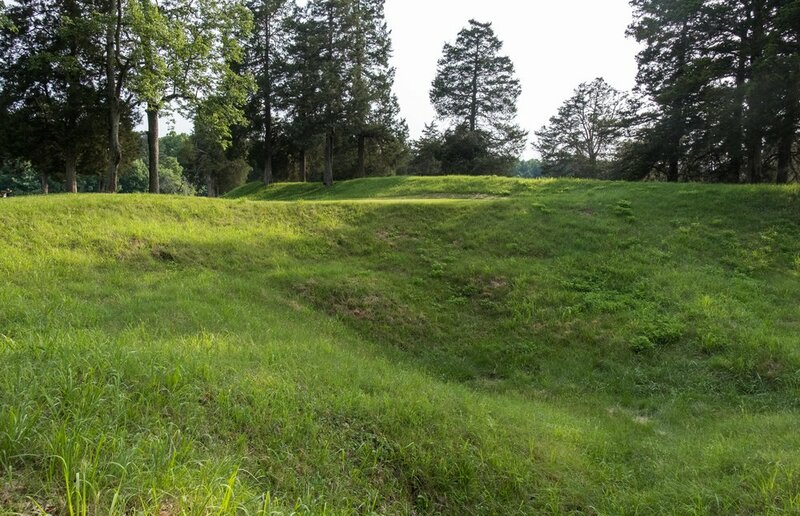 We are back at the Petersburg National Battlefield at the famous Crater. The entrance you see was to a mine shaft dug by Pennsylvania coal miners under the Confederate lines. The resulting explosion blew a hole over 170 feet across and more than 30 feet deep. Sadly for the extension of the conflict, the Union botched the opportunity presented by the huge gap in the lines and, other than more causalities, nothing was gained at the end of the day. The other two photos show the Crater as it is today.